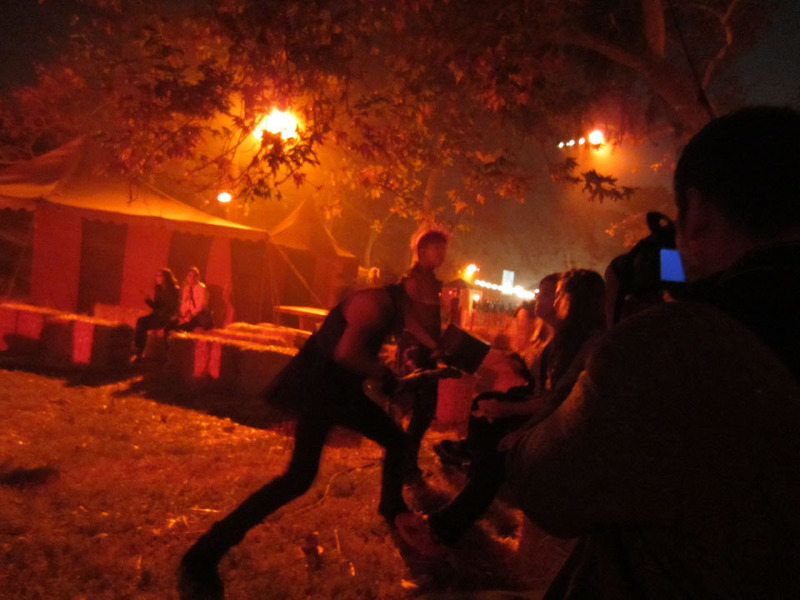 For the second year in a row, Media-Geeks visited the Los Angeles Haunted Hayride in Griffith Park. This year promised to bigger and better than last year. Did they succeed? Read on! 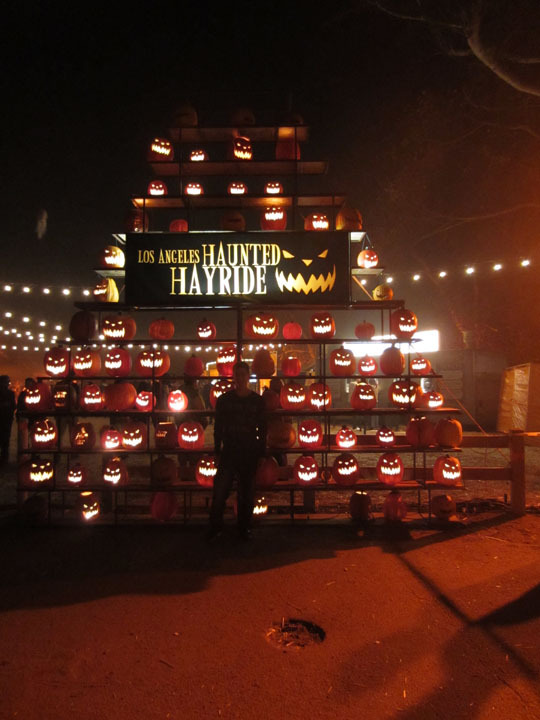 The first thing that was an improvement over last year, was that the media night this year was not a preview, with some attractions not up and running, but a full-blown public night of the Hayride. Every attraction was functioning and there was a sizable crowd. So many people were there, in fact, that parking was a bit of a hassle. Driving around the close lots with no luck, then looping out to the farther lots, then finally being guided to the overflow lot, getting to the event was not as easy as I’d hoped. Thank goodness parking is free. 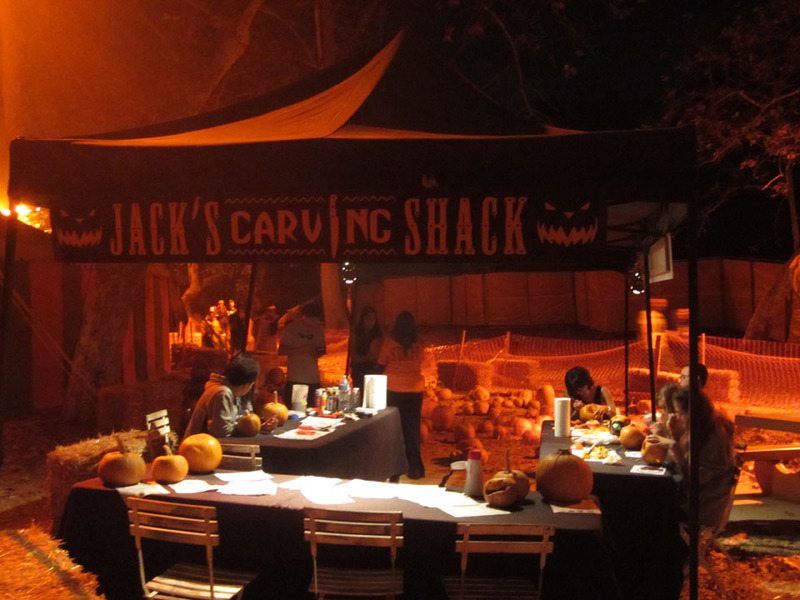 Once we got there, past the wall of jack o’ lanterns serving as the entryway, things got more fun quickly. We first did the Hayride itself. Utilizing the same course, and many of the same sets as last year, the vignettes were the only parts that changed. Some were better and some were worse. A few standouts include a group of women mourning their lost children, a three-headed forest demon, and the “Sway Polers” that were mentioned in the preview we ran a few weeks ago. 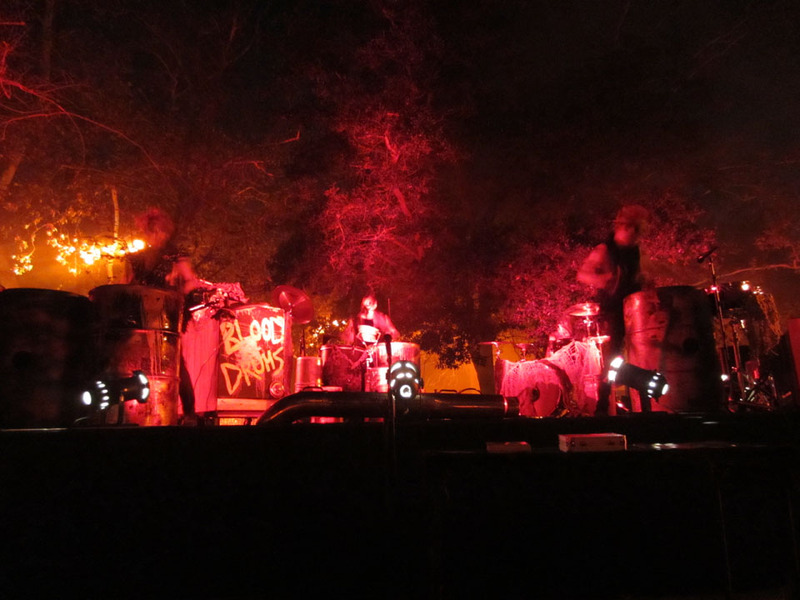 Without describing them and ruining the surprise, I will say that they were very cool and easily one of my favorite parts of the Hayride. The theme this year was “Echoes from the Rift,” and I was hoping that theme would tie together the scenes into more of a story, like a descent into the fiery pit of Hell. Alas, only 2 even mentioned the Rift setting, with one being the finale, which is admittedly pretty impressive. Sitting in the wagon, being pulled by the tractor, was still a fun kick of nostalgia (for a childhood I never actually had), and it also serves as insulation from the monsters–they can’t get inside the hayride, so you know you’re safe. Whether that is good or bad is up to you. 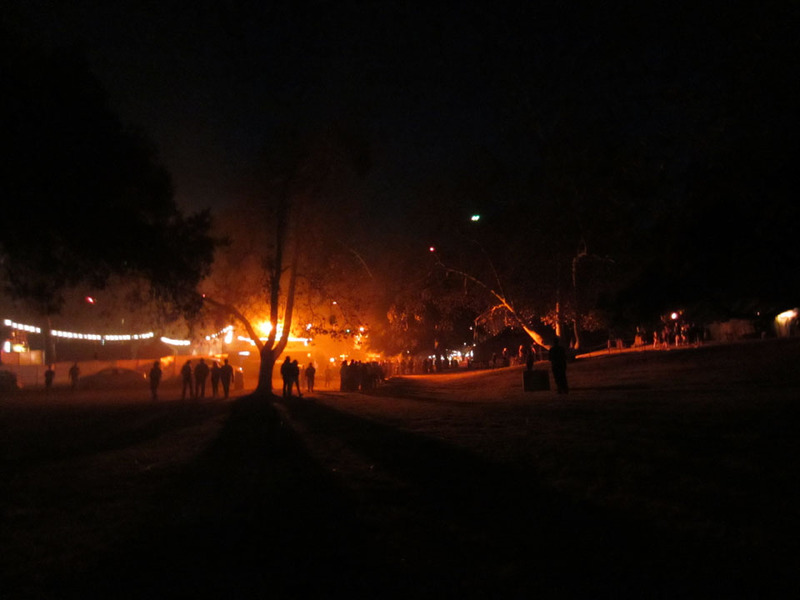 After the hayride, we strolled around Purgatory, the kind of central area between major attractions. There was again the skeletal Scary-go-Round and pumpkin carving, and fortune tellers. 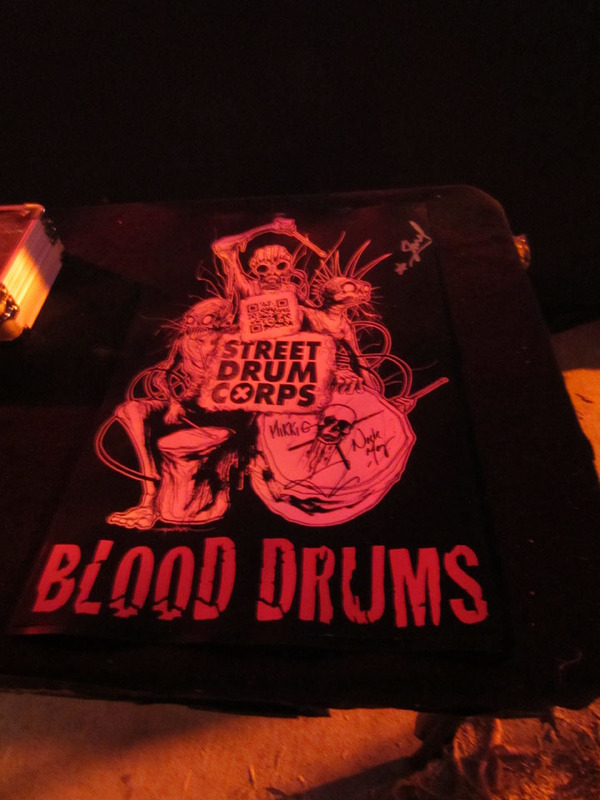 There was also a stage for the “Blood Drums,” that I made sure to take time for. 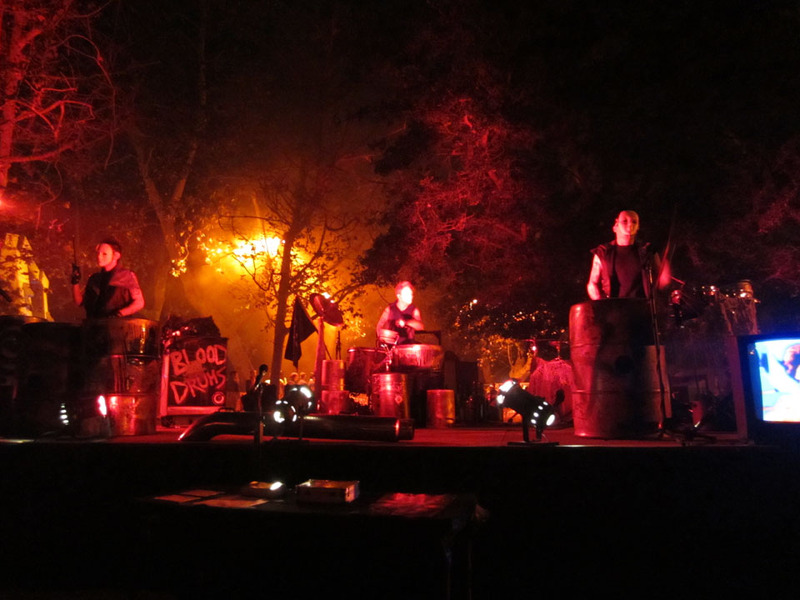 The energy and rhythm of this percussion group was definitely a good time, and the location of the stage was great to entertain the rather long line for the Hayride. 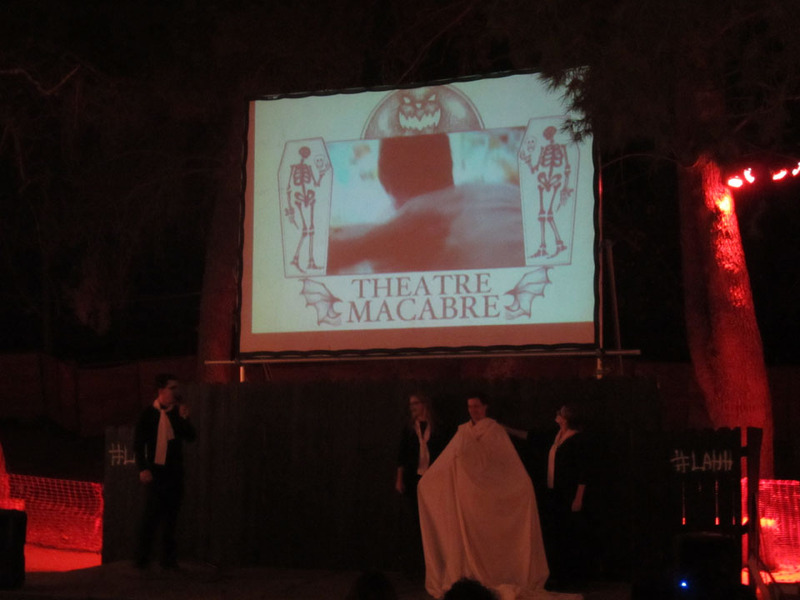 There was also a stage where performers could interact with audience members called “Theatre Macabre.” We didn’t stay long here, but if your friend is the one called up on stage, or you just want a break, I can see why this would be a good place to hang out. 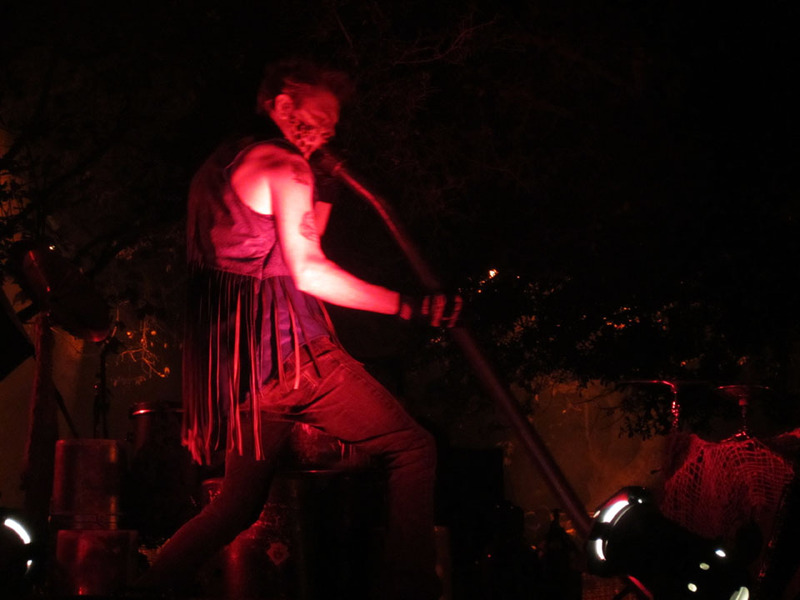 Other features of purgatory include monsters in costumes walking among the guests, including at least one on stilts. 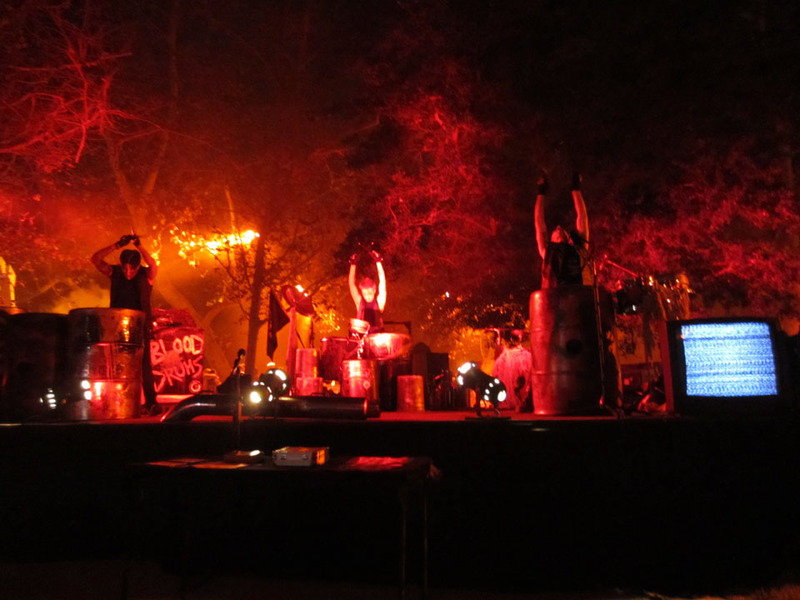 There was scary music playing over the speakers, and an interesting feature was small radio-controlled drones that flew around dangling severed heads beneath them. The idea sounds cool, but in practice, the drones were a little noisy and they couldn’t get too low with the heads because of the risk of running into things (one drone crashed while we were there). So I give them credit for the effort, but I’d be surprised if this lasted beyond this year. Two new events were next. The Seven Deadly Sins sideshow had small groups move from one small scene to the next, watching a performer act out a small story themed to each of the Deadly Sins. Some were better than others, and I really like the idea of this. I wasn’t sure if the scenes were supposed to be scary, tragic, gross…probably a mix. It felt a little disjointed. 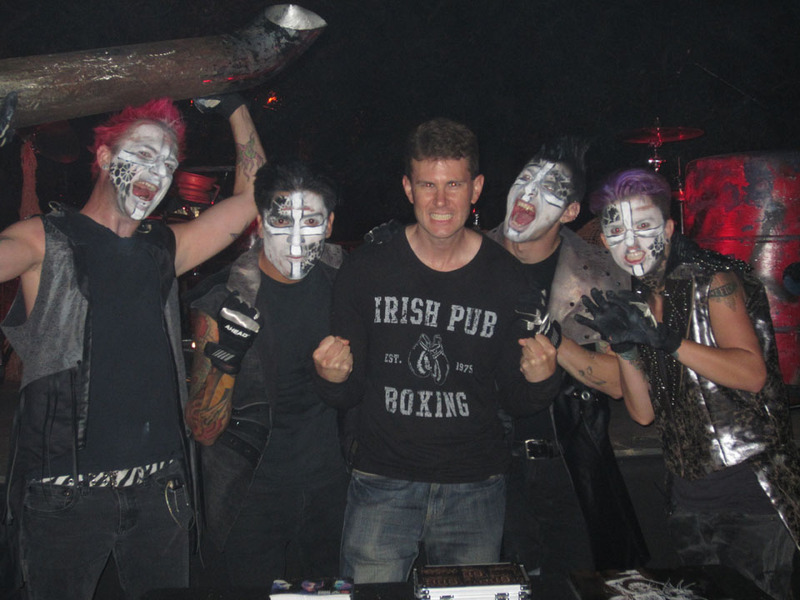 The next new event fared better–the House of the Horsemen. 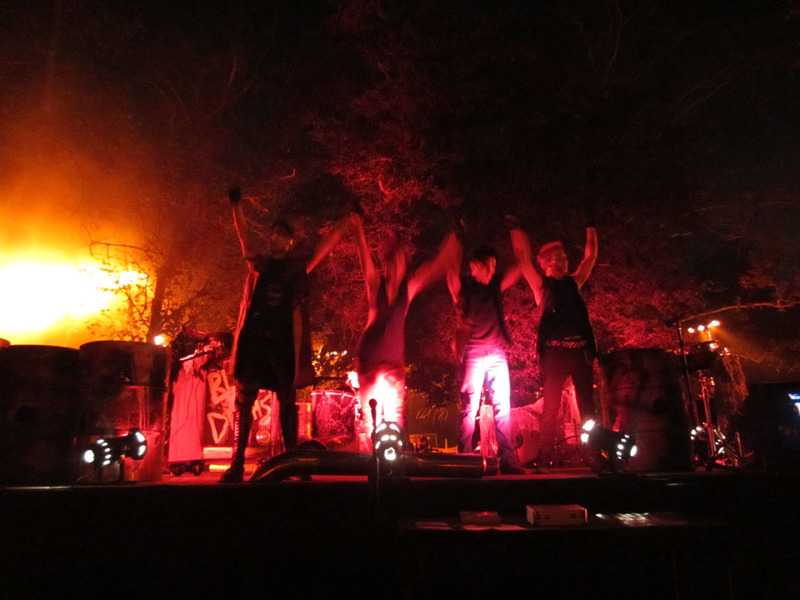 Themed to the Four Horsemen of the Apocalypse, this was a combination maze/show, with performers leading you from room to room, interacting with one or two of the spectators at each scene. I liked this quite a bit. It was claustrophobic, the sets were good, and there was a sense of surprise about what was going to happen next. Kudos to the organizers for fitting a cool attraction into a relatively small space. 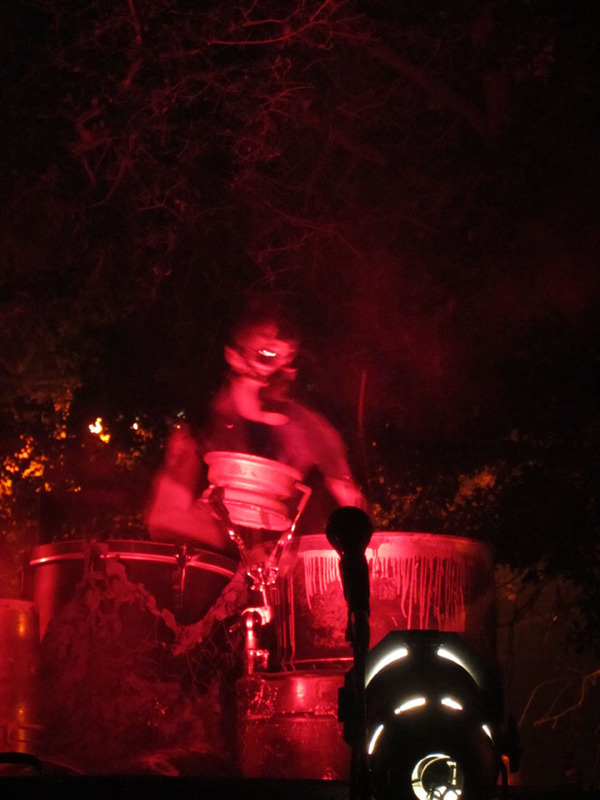 Walking past the snack bar, with Halloween-themed carnival food, the last major attraction was the In-Between dark maze. Like last year, it is nearly pitch black inside, with one member of the group being given a dim red lantern to keep people together. Inevitably, the group breaks down and you lose sight of the lantern, leaving only the blinding intermittent strobe lights to see by. I found the effect to be awesome, with glimpses of monsters or dark alleys seared into your eyes for a split second before it all goes dark again. 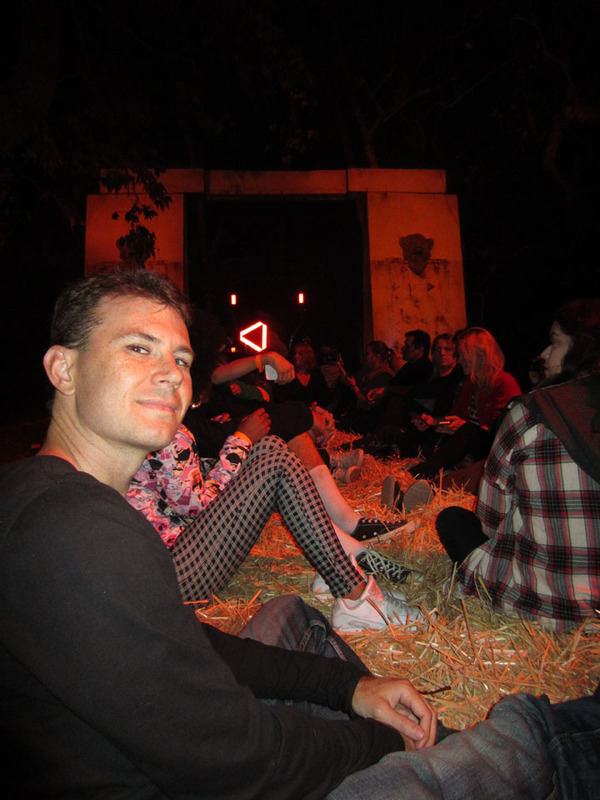 Like last year, there were a few creatures roaming the maze with you, including some good costumes, but there were also many mannequins propped into corners that just seemed a bit lazy. There is also one elaborate mechanical prop that I won’t describe, but it was very detailed and looked expensive. Finishing up with the fun air-filled tunnel (this must be what the press release called the “Leviathan” was nice, although I do wish they had done one final scare on the way out.